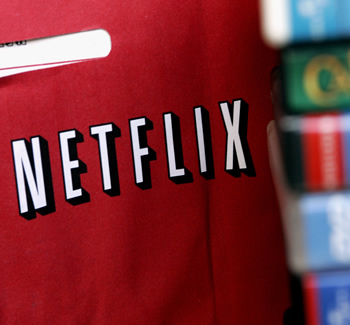 As the largest single source of traffic on fixed networks in North America, Netflix accounted for 32.9% of peak hour downstream traffic in the first half of 2012. Netflix says that works out to nearly a billion hours of TV shows and movies streamed per month, and all of those videos are served via third-party content delivery networks (CDNs), with Level 3 being Netflix's primary CDN since November 2010. This differs from other major video streaming outfits, such as YouTube, which has long had its own CDN. Netflix hopes to do the same, announcing its own CDN dubbed Open Connect Network, which is already serving about 5% of the service's material. The company hopes Open Connect Network will eventually be its primary delivery network, but it plans to take the transition slow and steady as contracts with commercial CDNs expire. Considering the volume of data it serves (petabytes, surely), it makes more financial sense to have its own infrastructure according to Ken Florance, Netflix's VP of Content Delivery. ISPs interested in using Open Connect can read more about it here. Netflix notes that, like commercial CDNs, Open Connect will provide Netflix's content at no cost to ISPs. They have two options: install Open Connect appliances within their networks or peer with Netflix directly. Netflix will also share its hardware design and the open source software components of the server. The designs are suitable for any high-volume provider of large media files and Netflix welcomes your feedback for improvements.